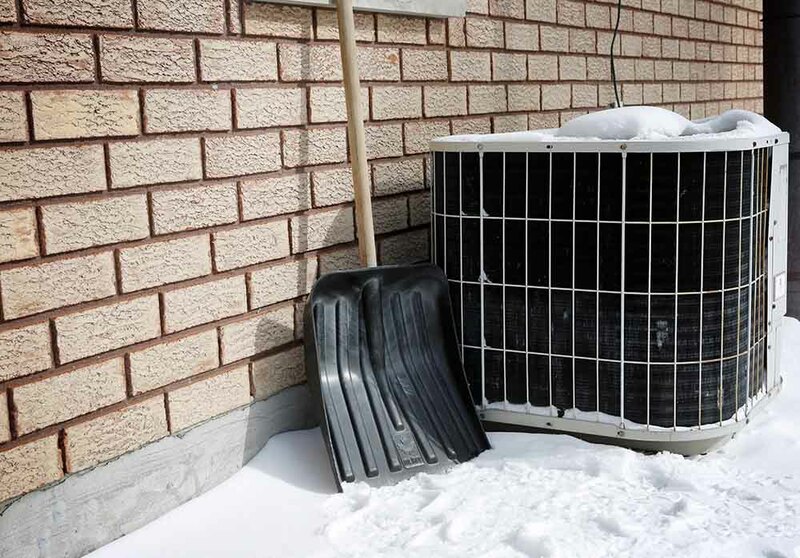 Yard tools, branches, leaves, snow and debris within two feet of your heat pump can cause airflow issues. Remove these items and move them further away from your heat pump in order for the heat pump to have maximum air flow and run efficiently. Dirty air filters block air flow through your HVAC system. This causes it to overwork, use more energy and cost your more money on your utility bills. Air filters should be changed every 1-6 months depending on the filter type and the amount of dirt buildup. Not changing your filter on time can cause your system to work harder due to the blockage of the air flow. Your heat pump has three different thermostat settings: heat, cool, and emergency heat. When it’s time to use your heat for the first time during the fall, make sure that you switch to heat mode and not emergency heat mode on your thermostat. Emergency heat mode uses your furnace as your heat source, and it should only be used when your heat pump is either not working or iced up. Note: It costs much more to run your system on emergency heat versus regular heat mode. You should be having your heat pump system checked out annually. If you haven’t had your annual maintenance done this year yet, we recommend scheduling it before the frigid temperatures arrive. If you wait until the coldest time of the year, it can be difficult to get an appointment since it’s one of the HVAC industry’s busiest times of year. An annual maintenance can help prevent up to 90% of breakdowns causes by dirt, improve efficiency and extend the life of your equipment.